A grey jumper is also a staple piece and perfect with skinny jeans – this COS one is gorgeous and will definitely keep the winter chill at bay. Another great addition to any winter wardrobe is a quilted coat with a hood – perfect for those days when an umbrella just won’t do. I like to refer to mine as my ‘duvet coat’ on cold mornings! 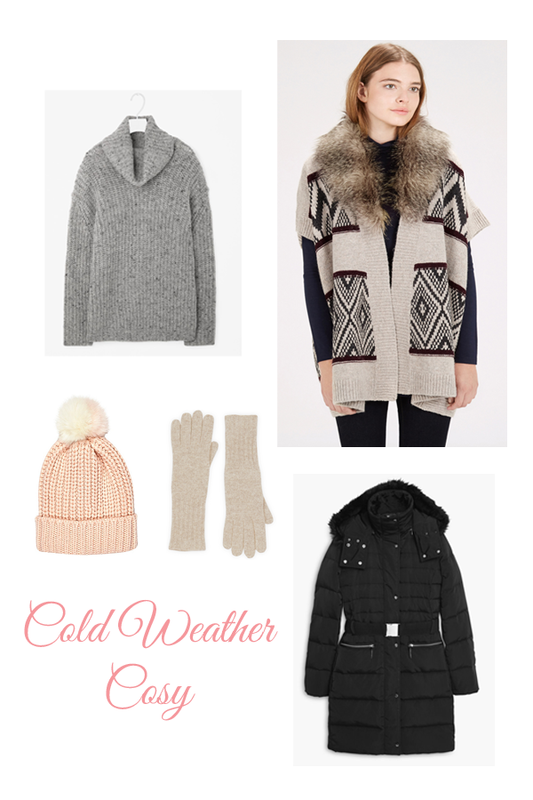 Accessories like these cashmere gloves and bobble hat make for a cute and cosy finish to your cold weather look. I love the soft pastels!